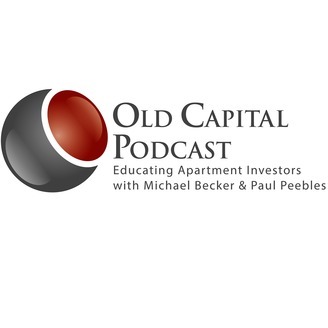 The Old Capital Real Estate Investing Podcast is aimed at Multifamily Real Estate Investors both new and seasoned. Hosts Michael Becker and Paul Peebles deliver no-hype education from an experienced commercial banker’s perspective. You will gain valuable insights from in-depth interviews with real life investors who are actively acquiring and operating apartment complexes in today’s environment. You will discover how they are identifying, financing and operating multifamily properties, as well as helpful advice on how to get started and avoid common mistakes. Be sure to subscribe today, as there is a new episode released weekly. On our show we’ll feature industry experts and discuss topics such as: • Syndication • Private Placements • Commercial Real Estate Investing • Apartment operation and renovations • Creating Passive Income • 1031 exchanges • Commercial Real Estate Lending • Fannie Mae Financing • Freddie Mac Financing • CMBS Loans • How to buy your first commercial property • Property Tax Protesting • How to get Started with your first Multifamily acquisition • Saving money on Taxes • Multifamily Mentor • Rich Dad Robert Kiyosaki Visit us at www.oldcapitalpodcast.com or www.oldcapitallending.com. What’s WORKING or NOT WORKING…in the capital markets. 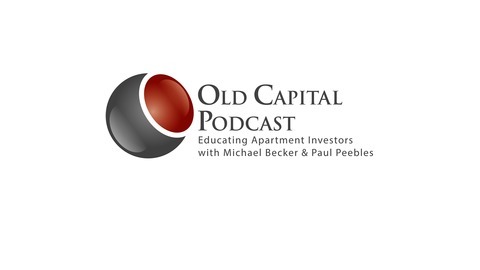 Old Capital commercial loan officers-James Eng, Dave Walls and John Brickson discuss what is happening in apartment lending. Paul Peebles relays an important story about the possible financial impact of the “NEW” SOCIAL SECURITY ADMINISTRATION’s- NO MATCH letter verifying authenticity of your employee’s social security number. This could be challenging for the employee, the employer, and the tenant in your building. What happens to labor costs and apartment occupancy if undocumented employees lose jobs? John Brickson and Dave Walls chat about competitive advantages in buying apartment buildings today. James “the professor” Eng reminds us 1) expect rejection and learn from every ‘no’ 2) hire advisors like your life depends on it 3) you will have to do things- that don’t scale. Great insight from James. Save the Date: 2019 Old Capital Conference - October 24-25 in Dallas, Texas NPR Article on the NO MATCH LETTER: https://www.npr.org/2019/03/29/707931619/social-security-administration-plans-to-revive-no-match-letters Contact: James Eng JEng@OldCapitalLending.com Dave Walls DWalls@OldCapitalLending.com John Brickson JBrickson@OldCapitalLending.com To receive our FREE page WHITE PAPER REPORT on the (updated) 2019 FUNDAMENTALS OF MULTIFAMILY FINANCING 101 and to learn more about upcoming educational events at Old Capital Speaker Series please visit us at OldCapitalPodcast.com Are you interested in learning more about how Multifamily Syndications work? Please visit www.spiadvisory.com to learn more about Michael Becker’s Real Estate Syndication business with SPI Advisory LLC.